'The abrupt ending of existing cooperation agreements between the EU and the UK in a disorderly Brexit would have material and immediate economic implications. The impact of a 'no-deal' Brexit would permeate all areas of economic activity." So said the Central Bank of Ireland last Friday. Its report on the outlook for the economy attempted to analyse what would happen if Britain leaves the EU without a deal in two months' time. The report's starkness caused some surprise. It should not have done. 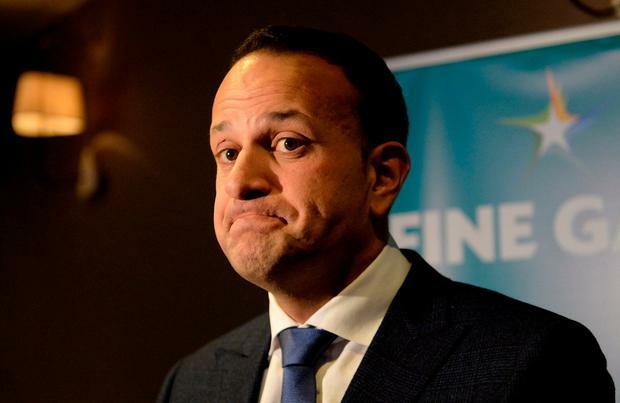 It has long been clear that Ireland, as a highly trade-dependent economy, is extremely vulnerable to anything that disrupts the flow of imports into the country and exports going the other way. Before looking at the issues raised in the (flawed) report in greater detail, the past week has brought home how big a gamble the Irish Border backstop is. Hailed as a masterstroke by almost everyone in Ireland when it was put on the table 14 months ago, its huge risks are clarifying fast. Last Monday, the foreign minister of Poland - one of the big five countries in the EU 27 - proposed effectively binning the backstop. That position reflects deep concerns among countries in central Europe about the implications for their EU funds and for their many citizens in the UK in the event of a no-deal outcome. Last Tuesday, a European Commission spokesman stated the obvious about Border checks being needed on this island if there is a no-deal Brexit. The strains the gamble is causing among members of the Government were also evident last week. Last Wednesday, minister Michael Creed was at sixes and sevens in an interview on what could happen at the Border from March 29. In the Dail, the Taoiseach mused on the possibility of checks on Irish goods at continental ports. In the refined Alpine air of Davos last Friday, he spoke of sending troops to the Border. From an Irish perspective, it is to be sincerely hoped the British parliament reverses its huge rejection of the EU withdrawal agreement. But if that doesn't happen over the next four to six weeks, and if the only way to avoid the worst-case scenario is for the Taoiseach to back down on the backstop, that is what he should do. The political career of one person is trivial compared to the well-being of the country. What is at stake is clear from a cursory look at Ireland's enormous dependence on foreign trade. The value of Irish imports and exports exceeds 200pc of economic output, as measured by GDP. Britain's foreign trade is much smaller, amounting to only 60pc of its GDP. In other words, Ireland is more than three times more trade-dependent than is our Brexiting neighbour. Of course, not all of Ireland's trade is with Britain. But a lot of it is, either directly or via the 'land bridge' with the continent. As such, it is perfectly possible a no-deal Brexit could cause a greater shock to the Irish economy than to the British economy. Despite this, the Central Bank stated last week: "The fact that the Irish economy would continue to grow in 2019 and 2020 in a disorderly Brexit reflects the strong and broad-based expansion in economic activity." There are two serious problems with this. First, to state that the economy will grow regardless of the Brexit outcome as a "fact" is simply wrong. Forecasts are predictions about the future. They are not facts. Second, it is possible that the Irish economy could grow this year even with a no-deal Brexit, but it is more likely to contract given the scale of disruption the bank's economists accurately describe. One only has to consider what its counterpart institution in London is saying about a worst-case scenario for the UK economy in the event of a no-deal. The Bank of England has stated that the British economy could contract by as much as 8pc this year if chaos ensues from the start of the second quarter. Such a slump would be the deepest in living memory and worse even than the Great Recession that followed the financial crisis of late 2008. The Bank of England has good reason to make dire warnings: it wants to bring home to politicians and the public how bad things could get if Britain goes off the Brexit cliff in two months' time. The Irish Central Bank appears less concerned about influencing opinion. Of the channels through which the economy would be affected by a crash-out Brexit, the bank's economists very correctly discuss imports before exports. So far in discussion, both in public and in private, the concerns of exporting businesses get far more attention than the risks to imports. This is a mistake because consumers matter more than producers. Everyone, for instance, consumes food, while only a small minority of the population is involved in producing food. Another reason that imports need more discussion is because they are likely to be subject to more disruption in the event of a no-deal. The British have been signalling - from the very highest level - that trucks arriving from Ireland at Holyhead and elsewhere will be treated no differently than they are now, at least in the initial period after March 29. They will do this even if the EU side imposes new customs controls and levies tariffs (taxes) on British goods coming into the EU. Nobody I have spoken to who follows these matters closely has heard anything to the contrary. The British are basing their no-deal planning on the "continuity principle" for the simple reason that they want to minimise the initial disruption. As a country that imports more food than it exports, keeping inflows of foodstuffs will be particularly important. The risk of sold-out supermarkets, shortages of basics and panic buying would be much reduced if British ports made no changes to how trucks are treated when they arrive by sea. This should give some succour to Irish exporters. Even in a worst-case scenario, they are unlikely to suffer major delays in getting their produce into the British market or to be hit with new tariffs, in the first few weeks at least. For businesses shipping perishables across the water, that will be particularly important. But that may be only comfort exporters have. Sooner or later, Britain would probably match any new tariffs the EU imposes on British goods. And long before that happens, Irish companies would be hit by a collapse in sterling. One of the many remarkable things about the Brexit fiasco has been the recent behaviour of financial markets. Traders believe there is little chance of a no-deal crash-out. For this reason, the British pound has remained surprisingly strong vis a vis the euro and other currencies. In the days and weeks to come, and if no-deal is not ruled out, the trading herd will take fright. If and when it does, there will be a stampede out of sterling. Given some other fundamental weaknesses in the British economy - most notably its large deficit on its balance of international payments - it is very easy to see the pound falling to parity with the euro. Such a shift in sterling would also impact the tourist industry. British visitors still account for a sizeable chunk of foreign tourist arrivals. With their pound worth far less in this jurisdiction, which is already pricey when compared to many rival destinations, arrivals would fall off sharply. That would be compounded by the expected slump in the UK economy, with higher unemployment and much greater uncertainty for consumers. Curiously, the Central Bank did not mention tourism at all in its report last Friday. That omission may have contributed to its far too rosy outlook for a no-deal scenario. It might well come to rue its statement of 'fact' about continued growth in the Irish economy.